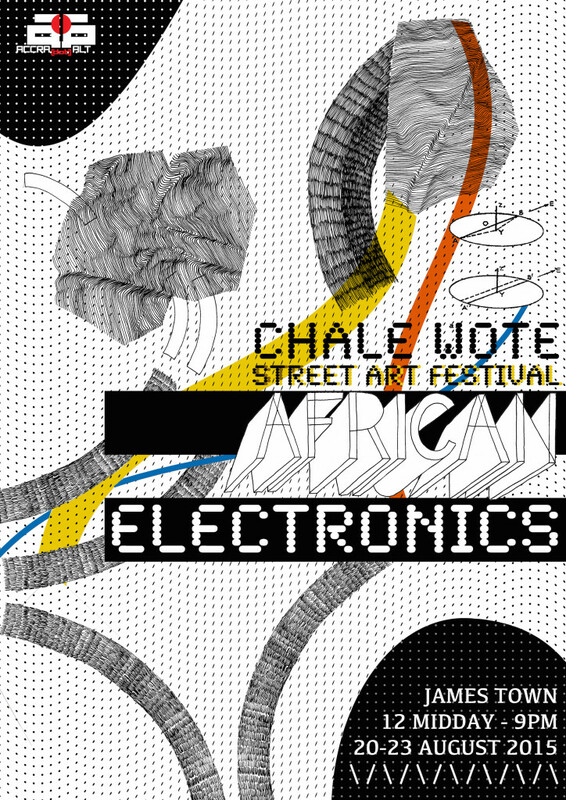 Now I may be the last person writing about Chale Wote 2015 but better late than never right? This is a break from the usual on this blog but I need everyone who visits this page to know how awesome Chale Wote is. Was there for it once and I’ve already decided that it will be a yearly pilgrimage. I’m not sure how I first heard of Chale Wote. I figure it must have been the photos circulating around tumblr and the fact that I follow ACCRA DOT ALT there. I have heard that people who are familiar with my online personality believe I am an arts person but I’m not, at least not really. I mean I don’t think I’m an arts person but if I wasn’t why would I go to an arts festival? I’ll save the existential crisis. I do appreciate the arts but not enough to a proper arts person I think…anyway I’m also not sure why I decided to go to Chale Wote this year. I think I wanted to go to Ghana again and this time spend more time in Accra. I’d been planning a Ghana trip for a long time and decided to make it part of my travel plans this year. It turns out going to Ghana was the only plan that actually reached fruition. The plan was to leave Abuja on a Friday and spend the weekend at Chale Wote. A couple of weeks to the date, I got an email from the amazing Nana Darkoa of Adventures from the Bedrooms of African women asking me to be part of a panel called Queer Vibrations. I hopped on that chance without really thinking much about it (I mean Nana Darkoa asking little old me to be part of a panel with her, I fangirled). So I had to move my flight two days forward (luckily I had not bought the ticket yet). It was a great choice because I was there for the labs and the first day street festival itself. It was on the first evening of the labs that I arrived late for my panel and giggled while Nana Darkoa and Nana Akosua read erotica (listen to the first part of the panel here). I read an edited post of my woman-woman marriage which I will be uploading to the blog soonest. Then Ama Agyeman read an insightful essay on religion and homosexuality. This was followed by a Q&A session, the audience was mostly receptive. The panel was moderated by Paula Akugizibwe, she’s like the most awesome person. The highlight of the festival for me was not just the movie screenings or the amazing art on display, it was the people. I keep using words like “amazing” and “awesome” but it’s so true. To be surrounded by Africans who were not only into the arts but interested in supporting it. The environment was so my thing. I mean artists and people who like the arts always have a touch of weird in them right? Still hyped that I met (and hung out with!!!) Wanlov who is just incredible. There was Elsa Mbala, who I was dancing and chilling around with before I watched her perform and was completely blown away. I met a cool group of Nigerians too. I enjoyed it tremendously and will definitely be heading back next year. Awww hun, you’re the sweetest. I’m such a fan girl too. I didn’t even know you moved your flight by 2 days to be here in time for the panel. I so so appreciate you doing that. And really glad I got to hang out with you albeit briefly. Looking forward to seeing you on the rock next.